Another fine show Kyle and thank you Seana. Two brave present-day warriors, spreading knowledge and preserving our traditions. 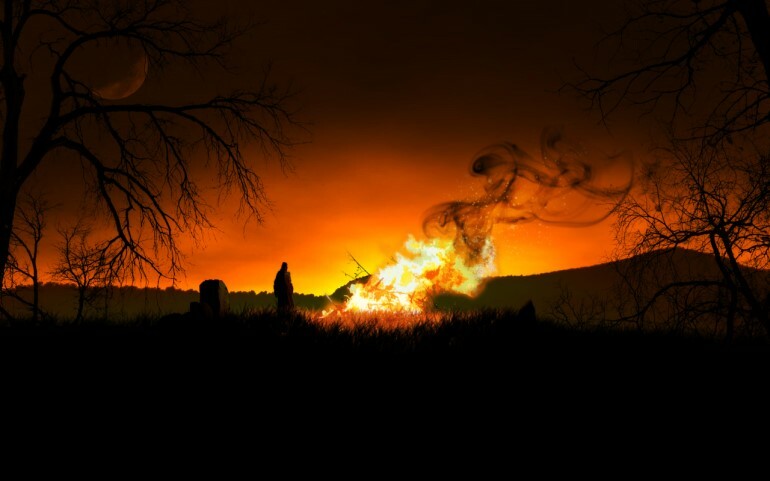 Happy Samhain to all Renegade folk. Greet and thank your ancestors today. Channel their spirit for the battle ahead. Thank you both for an amazing show. Brilliant. Inspiring and insightful. This show in a nutshell says so much about our core. Thank you. Learn more from Seana and other famous odinists at: http://www.summary-of-odinism.blogspot.com . Really good show, I like the conversation between you and Seana and what both of you stand for. I hate to sound petty, but I would prefer to listen to certain interviews without callers and this is one of them. Don’t get me wrong, callers are good in a lot of shows, but sometimes I just want to hear two interesting people going the distance of a show without any interruptions. Great show, indeed. I checked out her website and called for some info and we wound up talking for over two hours. A great woman with so much passion and insight. Thanks, Kyle and Seana! Really excellent show, thank you very much Renagade !! !